On the heels of the latest casting announcements regarding Netflix's Marvel series, Luke Cage, with Theo Rossi added and Rosario Dawson reprising her Daredevil role, comes word that a fan favorite character has not only been added but cast as well. 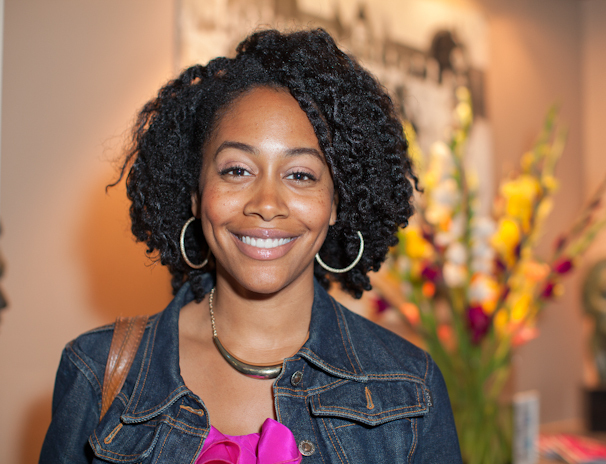 Talented newcomer Simone Missick has been tapped to play former cop with a biotic arm-turned detective, Misty Knight. Missick joins an impressive cast that includes Mike Colter (Luke Cage), Alfre Woodard (Black Mariah), and aforementioned Rossi (Shades) and Dawson (Claire Temple). "In Luke Cage, Colter plays Cage, a wrongly accused man who, granted superstrength by a sabotaged experiment, escapes prison to become a superhero for hire." Misty was seriously injured preventing a bomb attack when she was a NYPD police officer. Her right arm was amputated and rather than take a desk job, she resigned from the police force. Tony Stark provided her a bionic arm which endowed her superhuman strength. She subsequently opens a detective agency. 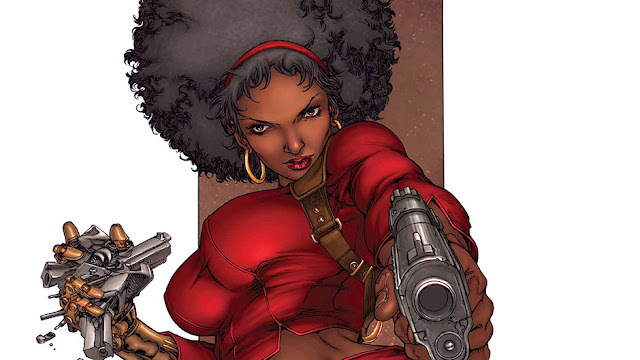 She has been an important supporting character in teaming up with Cage, Iron Fist, Spider-Man, X-Men, Avengers, Defenders since her inception in 1975 by Tony Isabella and Arvelle Jones. Marvel's fourth Netflix series will be "Iron Fist" and that will lead into "The Defenders" which makes Knight's inclusion a logical choice to the "street-level" heroes of the Marvel Cinematic Universe. Missick has some TV credits and appeared in numerous shorts. The Detroit native is a graduate of Howard University and a veteran of the British American Drama Academy in Oxford, England. Her husband Dorian starred in 'Southland' where 'Luke Cage' producer Cheo Hodari Coker also worked.